THE BOOK: Like a cross between Women in Trees and Cindy Sherman:Untitled Film StillsAnne Collier rephotographs photos of women carrying cameras, taking photographs, and generally in the act of capturing a photographic image. Anonymous found photos and vintage ads. 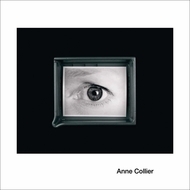 THE ARTIST: Anne Collier is a LA-born NYC-based conceptual artist who works in photography and is known for cataloging objects and images in her photos. 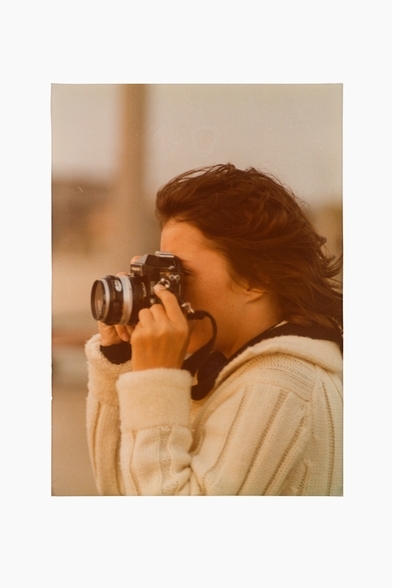 Women with Cameras (Anonymous) is a new artist's book by Anne Collier (born 1970), with a text by Hilton Als (winner of the 2017 Pulitzer Prize for Criticism), that consists of a sequence of 80 images of found amateur photographs that each depict a female subject in the act of holding a camera or taking a photograph. . Dating from the 1970s to the early 2000s, these artifacts of the pre-digital age were collected by Collier over a number of years from flea markets, thrift stores and online market places. Each of these photographs has, at some point in the recent past, been discarded by its original owner. 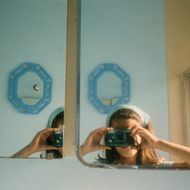 The concept of "abandonment," of photographic images and the personal histories that they represent, is central to Women with Cameras (Anonymous), which amplifies photography’s relationship with memory, melancholia and loss. 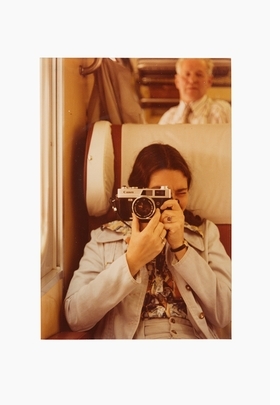 The sequence of the images in Collier's book follows the format of her 35mm slide projection work Women with Cameras (Anonymous) (2016), that was recently shown to great acclaim in Tokyo, Japan, and Basel, Switzerland. Anne Collier tends toward oblique and open-ended images that resist any simple message about the male or female gaze. Published by Karma, New York/Studio Voltaire.